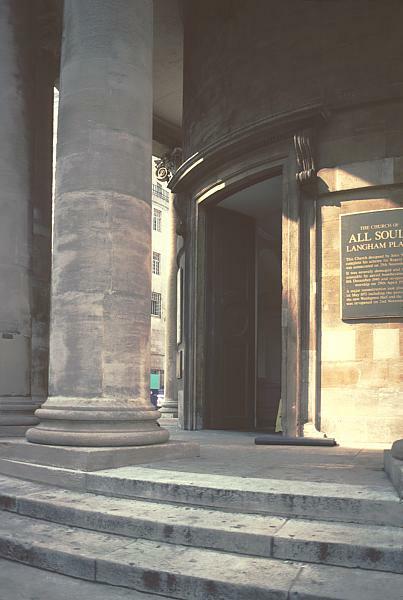 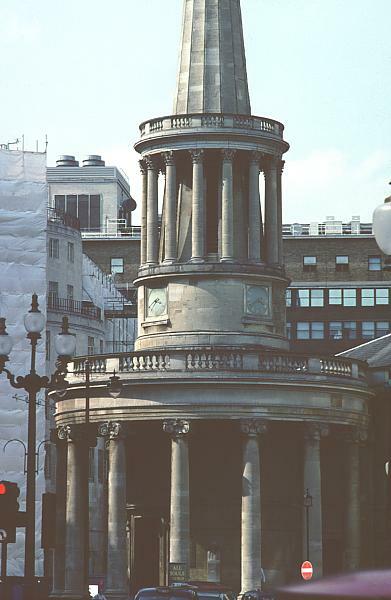 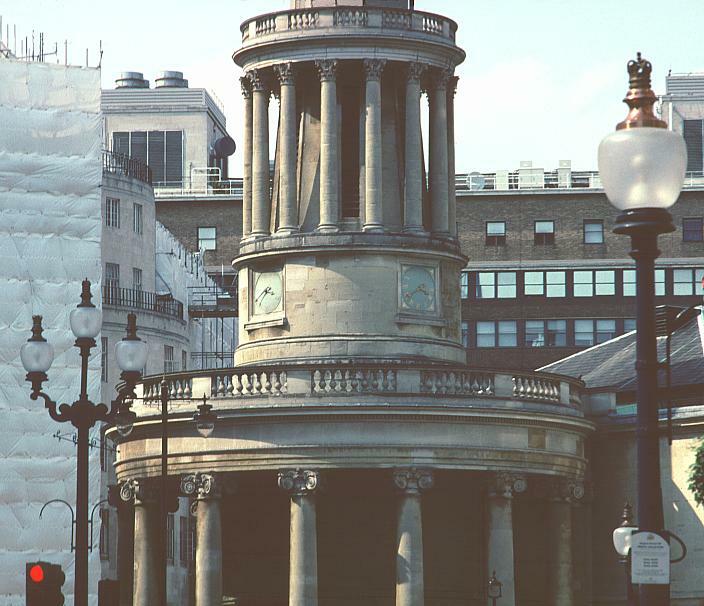 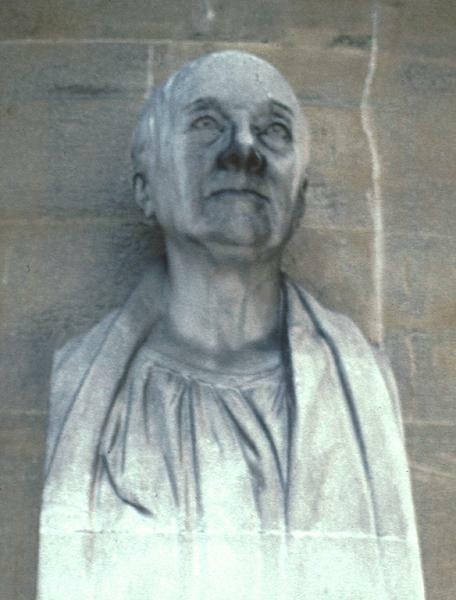 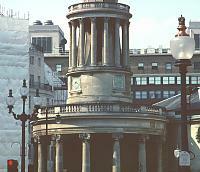 All Souls, set at an angle to the street, was part of Nash's Regent Street development. 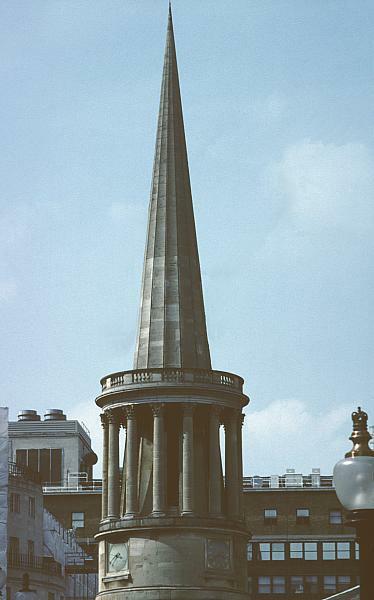 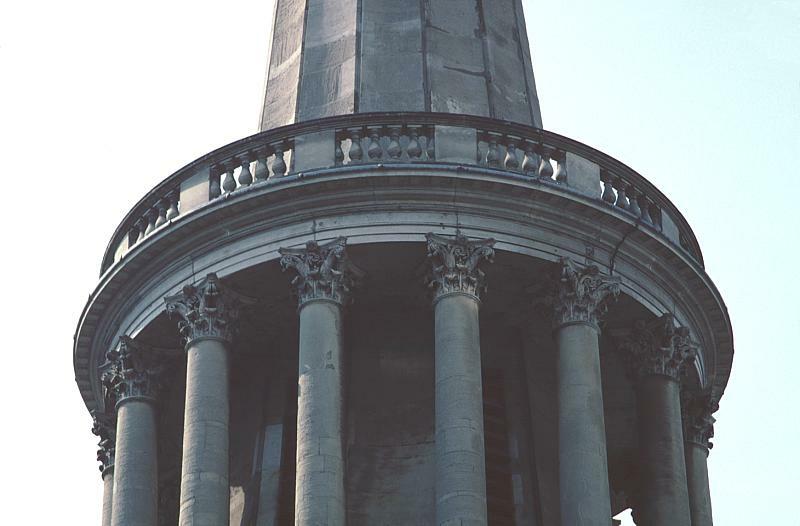 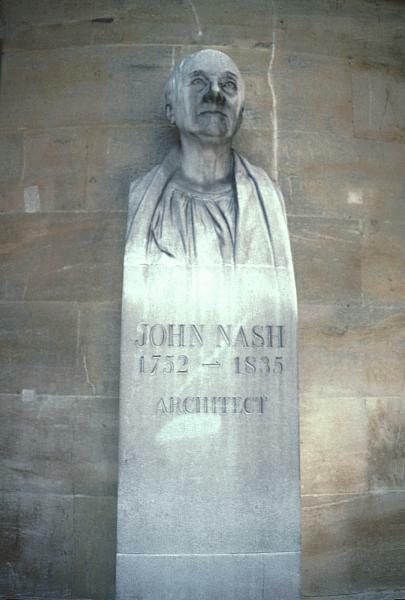 The only Nash church in London, it was criticized at the time, especially for its slender conical spire. 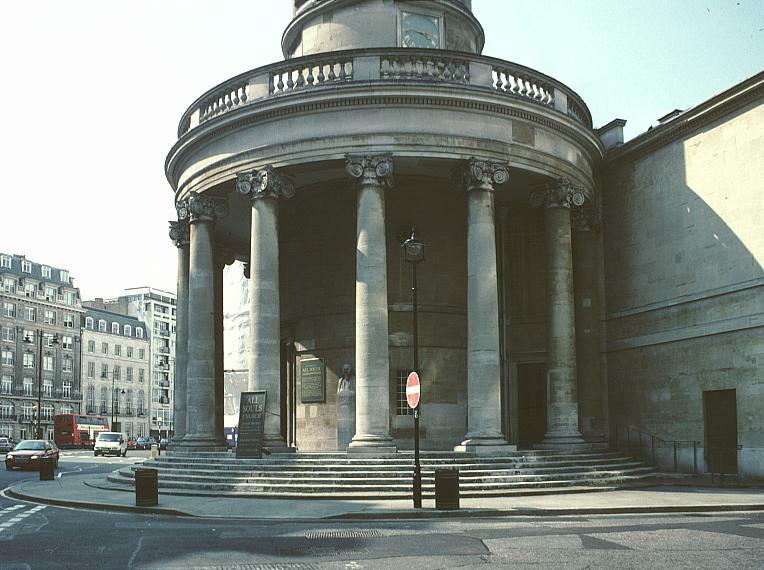 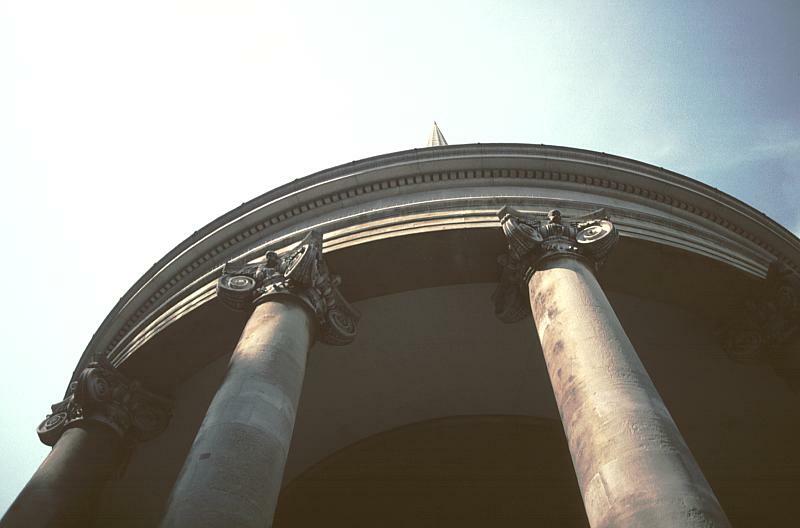 While the church has a circular portico, it has a rectangular nave. 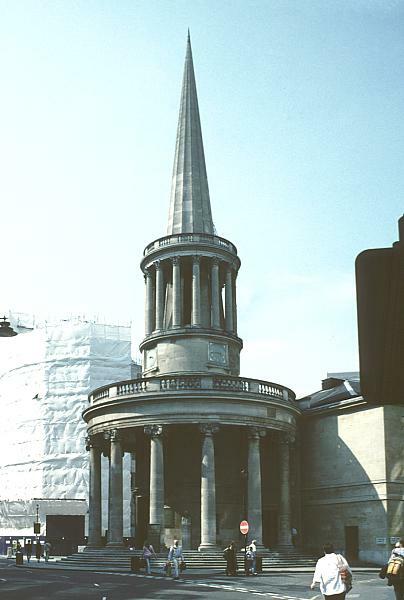 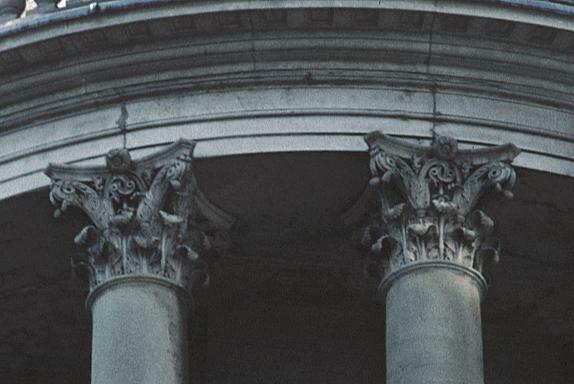 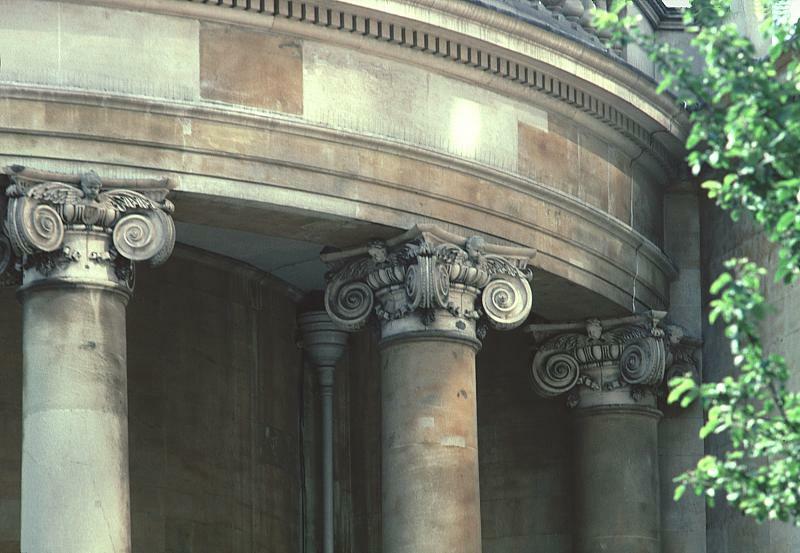 Below the spire is a balustraded peristyle, echoing the portico below.